Chris Christie may have lost the first few rounds of “bridgegate,” but there’s still plenty of rounds to go, and don’t be surprised if he’s still standing when the final bell sounds. First, he did everything right when it comes to crisis communication. He fired the people he said were responsible. He made himself accessible to the press — and answered reporters’ questions for nearly two hours at a news conference. He was apologetic and repeatedly said he was misled and felt humiliated. And he traveled to Fort Lee to personally apologize to the mayor. As I wrote on Friday, none of what Christie did will work if it turns out he’s not being honest about how much he knew and the extent of his role in the affair. Since then, however, another 2,000 pages of documents have been made public, and although those documents revealed a series of disturbing actions on the part of Christie’s staff, nothing yet has shown the governor was directly involved in the decision to close traffic lanes and tie up traffic. With some of the state and nation’s best reporters — and large news organizations with extensive personnel and resources — aggressively pursuing the story, I have to believe that, if there is information implicating the governor in those documents, we would have seen it be now. Meanwhile, the Assembly Transportation, Public Works and Independent Authorities Committee is subpoenaing more documents, the U.S. Attorney’s Office is launching an investigation and the media is not going to give up on this story for a long time, so there still are more potential minefields ahead for the governor. But let’s look how this turns out if nothing changes: More documents are made public, but still there is nothing that directly links Christie to the decision to tie up traffic. Likewise, the U.S. Attorney’s Office also fails to find anything that would implicate the governor. This entry was posted in Uncategorized and tagged bridgegate, Chris Christie, Fort Lee, George Washington Bridge on January 13, 2014 by Rich Lee. I tend to agree with most of the crisis communication “experts” who feel N.J. Gov. Chris Christie handled things well yesterday in his press conference about the controversial lane closures on the George Washington Bridge. The governor fired the people he said were responsible. He was apologetic and repeatedly said he was misled and felt humiliated — and he kept the press conference going until he answered every reporter’s question (almost two hours). That said, none of what Christie did will work if it turns out he’s not being honest about how much he knew and the extent of his role in the affair. Having worked in a governor’s office, I believe it is highly unlikely, but not impossible, that Christie didn’t know about the lane closures, especially since he is a notorious micro-manager. On the other hand, it’s hard for me to imagine that Christie would have stated so emphatically and so publicly that he didn’t know about the plans to close the lanes and intentionally snarl traffic. He’s smart enough to realize the consequences if he is caught lying about his knowledge of the incident, and he must know that the press and various government agencies are going to be looking into the affair aggressively for a long time. One other note on a related development that took place yesterday: The fact that former Port Authority official David Wildstein invoked the Fifth Amendment and refused to answer questions before the Assembly Transportation, Public Works and Independent Authorities Committee could ultimately prove to be very damaging in the long run. This entry was posted in Uncategorized and tagged bridgegate, Chris Christie, George Washington Bridge, New Jersey, Port Authority on January 10, 2014 by Rich Lee. Lost among all of yesterday’s “bridgegate news” was the passing of poet and playwright Amiri Baraka. 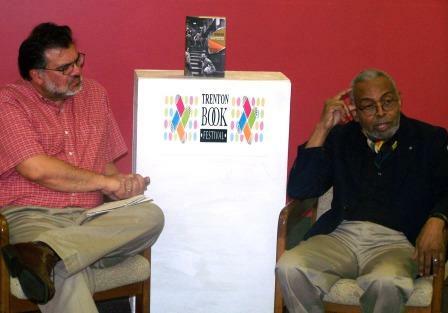 During the Trenton Book Fair in 2009, I had the opportunity to interview Baraka and lead a discussion about his life and work. Throughout his life, he was controversial and opinionated. He evoked strong emotions — both positive and negative — that made us think. May he rest in peace. This entry was posted in Uncategorized and tagged Amiri Baraka, NJ on January 10, 2014 by Rich Lee. When I teach public relations, I tell my students: Before you send an email or text, or post something on Twitter, Facebook or any other social network, stop and think of what the repercussions will be if what you write ends up on the front or home page of a newspaper. It’s a very real concern. Because of freedom of information laws and increased calls for government transparency, more material than ever is legally accessible to reporters and the general public. And the reality in 2014 is that it is unrealistic to expect that anything one writes in electronic form will remain private, regardless of whether the communication is subject to government transparency requirements. Such items often are leaked by individuals or organizations with a vested interest in making them public. And computer hackers have demonstrated increasing abilities to tap into private files. The messages are replete with references and insults to Fort Lee’s mayor, who had failed to endorse Christie for re-election and they chronicle how they tried to reach Port Authority officials in a vain effort to eliminate the paralyzing gridlock that overwhelmed his town of 35,000 which sits in the shadow of the bridge, the world’s busiest. Tomorrow, former Port Authority official David Wildstein is scheduled to appear before the Assembly Transportation, Public Works and Independent Authorities Committee to answer questions about the lane closings. The session will provide an opportunity to see how well the Christie Administration has learned a different public relations lesson – the one on crisis communication. This entry was posted in Uncategorized and tagged Chris Christie, Fort Lee, George Washington Bridge, New Jersey, Port Authority on January 8, 2014 by Rich Lee. 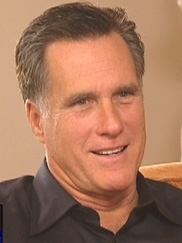 I was glad to see the classy manner with which Mitt Romney accepted Melissa Harris-Perry’s apology for remarks made on her MSNBC program about the former presidential candidate’s adopted African-American grandson. Hopefully, this puts an end to the incident because there are far more important issues on the national agenda for 2014. Number one, the incident reminds us that all public figures, no matter how powerful or influential, are people just like the rest of us. They are mothers and fathers, sons and daughters, husbands and wives, and so on. Yes, they signed up for a life in a fishbowl, and they’re more thick-skinned than most of us. But they experience the same feelings and emotions as we do. I once worked with a man who had been a speechwriter for a member of the Kennedy family. He told me he began to think differently about what he once thought were harmless Kennedy jokes when he realized they involved someone’s uncle or father. Secondly, I feel a need to clarify a sentiment emerging from the controversy, namely that targeting families of public figures is off-limits. While spouses, children and siblings may not have chosen to enter the limelight, politicians often use their family members to create warm, fuzzy images. In my opinion, they can’t have things both ways. Politicians and other public figures who use their families to score points can’t cry foul when someone brings one of those family members into the public discourse. This entry was posted in Uncategorized and tagged Melissa Harris-Perry, Mitt Romney, MSNBC, privacy, public figures on January 6, 2014 by Rich Lee.